There’s something about Touching the Void. Maybe it’s the impossible story. Maybe it’s the setting. Maybe it’s the screaming. Whatever it is, Tom Morris' production of Joe Simpson’s unforgettable memoir is a special iteration of this terrifying true tale of survival. 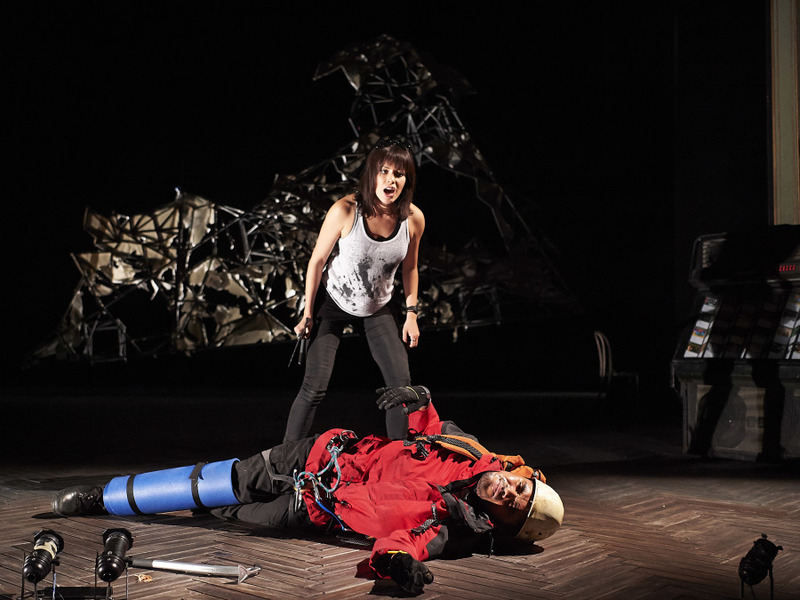 Adapted for the stage by David Greig, Simpson’s (Josh Williams) tale of survival against unbelievable odds in The Peruvian Andes has captivated and bewildered the public since it was first published in 1988. By now Simpson and Yates’ (Edward Hayter) near-fatal expedition to Siula Grande is a familiar tale of endurance; after their descent from the summit went horribly wrong, an inevitable error left Simpson alone in a crevasse with a badly broken leg . But this adaptation of the tale, featuring their basecamp manager Richard (Patrick McNamee), takes place in two worlds – the unforgiving reality of the mountain, and within Joe's fracturing mind. As each hour passes, the two become more skewed and a fourth character, Simpson’s sister Sarah (Fiona Hampton), acts as a conduit between the two, becoming a stubborn guide to Simpson in his darkest moments. In Greig’s adaptation, although the journey made is the seemingly impossible trip from crevasse to basecamp, the focus is on the mind and psychological strength that someone would need to possess in order to succeed in such circumstances. 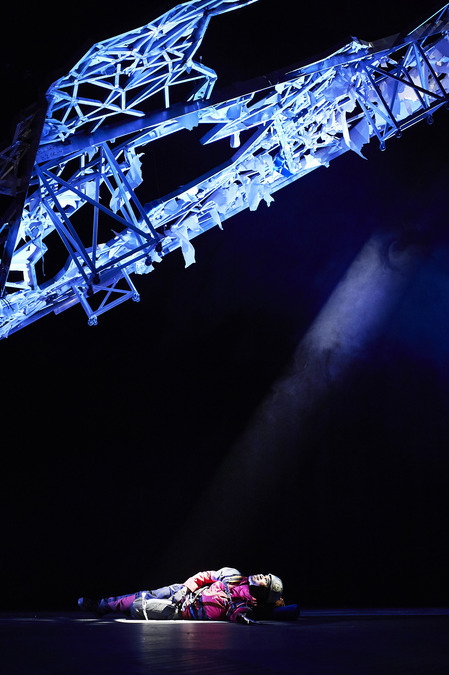 It’s not an understatement to say that Touching the Void should be a difficult play to stage; Morris himself states in the programme notes that it’s an “impossible theatrical project”. But it’s a challenge that the creative team have clearly relished, and the resulting production is quite simply stunning. 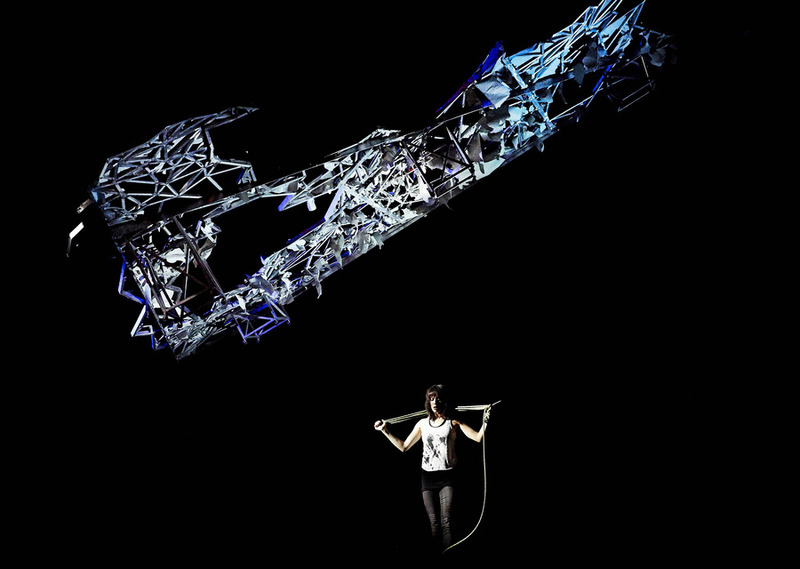 Ti Green’s set combines simple props with complicated creations; pub chairs become rock formations, a real climbing wall evolves from mountain, to ice cliff, and finally, the crevasse. Chris Davey’s lighting and Jon Nicholls’ sound design give the set that chilling edge, but it’s the sequences directed by Sasha Milavic Davies that somehow make the climbing scenes with Hayter and Williams effortless and believable. Greig is clearly fixated on the mental side of Simpson’s ordeal, and Williams soars in the lead role, but at times, McNamee and Hampton veer dangerously close to stealing the stage. Perhaps Touching the Void isn’t just popular because it’s a great story of sheer determination and the will to survive; perhaps the universal fascination lies in its quiet, unforgettable celebration of the unbroken human spirit.